Just when you thought you couldn’t handle their cries of boredom anymore, they’re off again! As quick as it came, summer is now nearly over, which means one thing… little ones will be starting the new school year very soon! 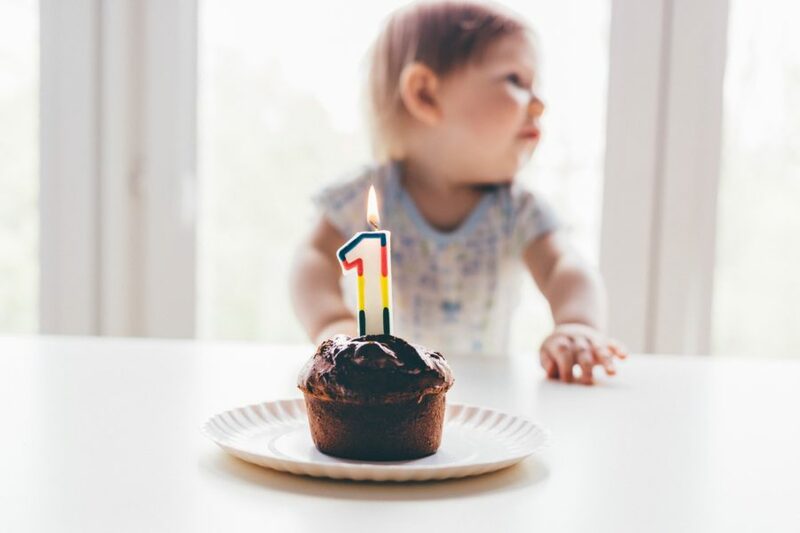 As well as an emotional and exciting time, research has shown that the fresh school start can be confusing for parents, with many unsure what their children need for a smooth start. 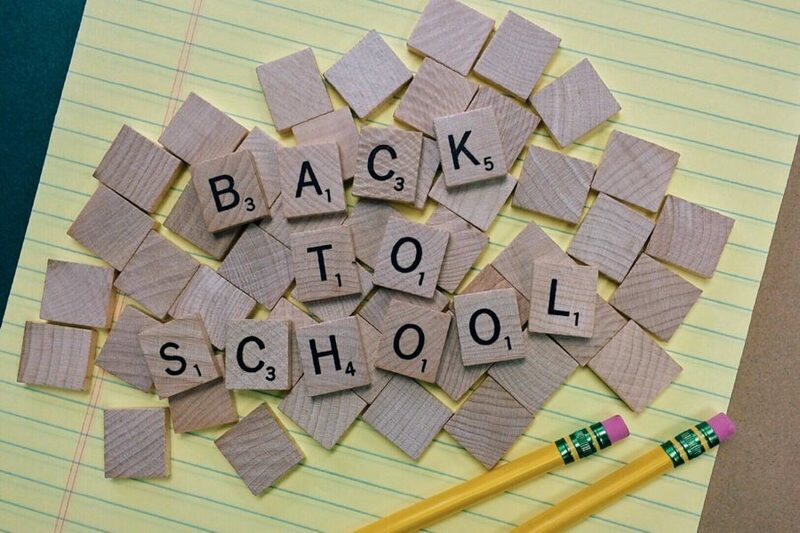 To help, we’ve put together our top four school essentials, all of which should help take the stress out of back to school. The crowning glory of every school wardrobe, backpacks are an essential for little ones in their first school years. Whether used to store pens, colouring books, or random playground finds, a spacious backpack helps ensure that their best bits are kept nice and safe. With our wide range of bright and playful prints, we’re certain we’ve got a bag to suit all little tastes and for an added special touch, all of our styles can be personalised for free! No backpack is complete without a pencil case! Essential to keep the inside of bags organised, pencil cases make it easy for little ones to find their essentials quickly, and when on the move. 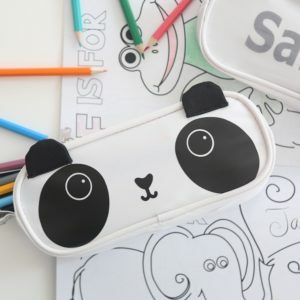 Zipped styles are best to ensure that contents stay safe and if we do say so ourselves, our panda pencil case is pretty cool! Featuring a unique, panda motif it is perfect for the wild at heart! Every parent knows the feeling of picking your little one up from pre-school to find them covered in paint, pen, or a random food stain you can’t quite work out! Whilst it’s lovely to know they’ve been having fun, the constant laundry can be less pleasing. That’s why apron’s are an essential, helping to ensure that no matter how much colouring, painting or cooking they get up to, little ones won’t be covered in stains when they come home. 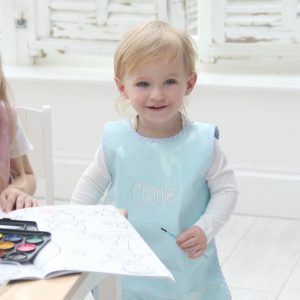 Made from a wipe-clean outer material, all our apron’s are easy to clean so whenever a mess is made, there will be no need to worry! 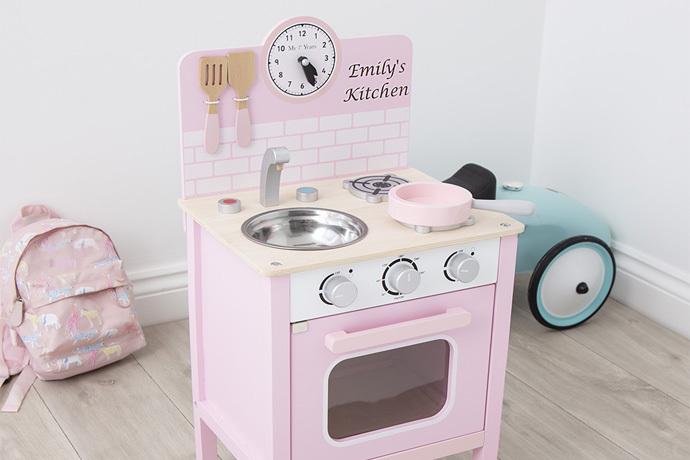 Once they’re back home, it’s essential to have a cosy bedtime routine to ensure that little ones wind down properly and get a good nights sleep – ready for the next day! For a smooth bath and bedtime routine a comfortable robe is a must-have! 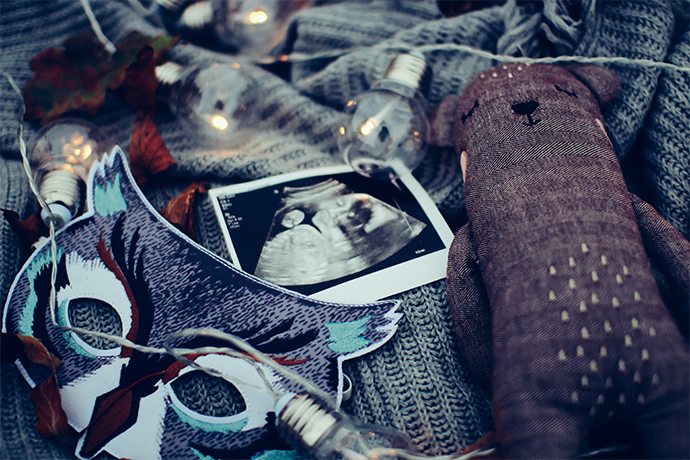 We recommend styles made up of fleece or towelling to help ensure maximum cosiness. Our best-selling Gingham Trim Robe, is a great choice which offers maximum absorbency – it was even spotted on HRH Prince George!